Gustave Caillebotte was born on 19 August 1848 to an upper-class Parisian family living in the rue du Faubourg-Saint-Denis. 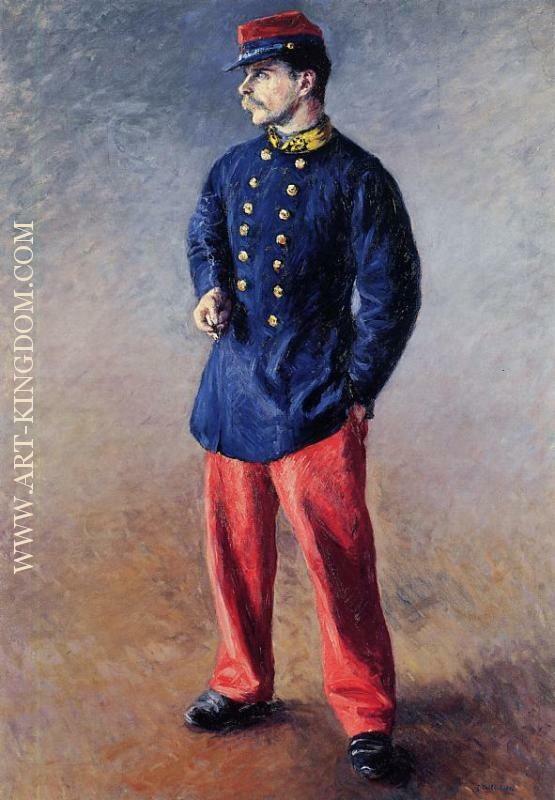 His father, Martial Caillebotte (1799–1874), was the inheritor of the family's military textile business and was also a judge at the Seine department's Tribunal de Commerce. 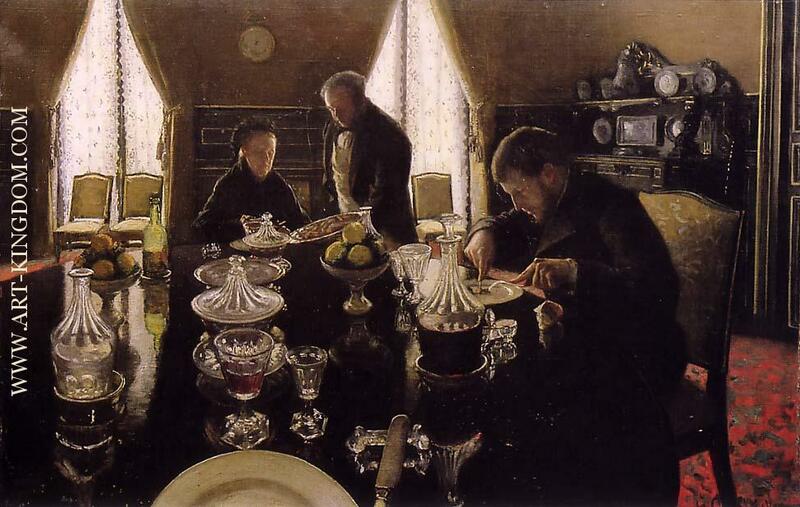 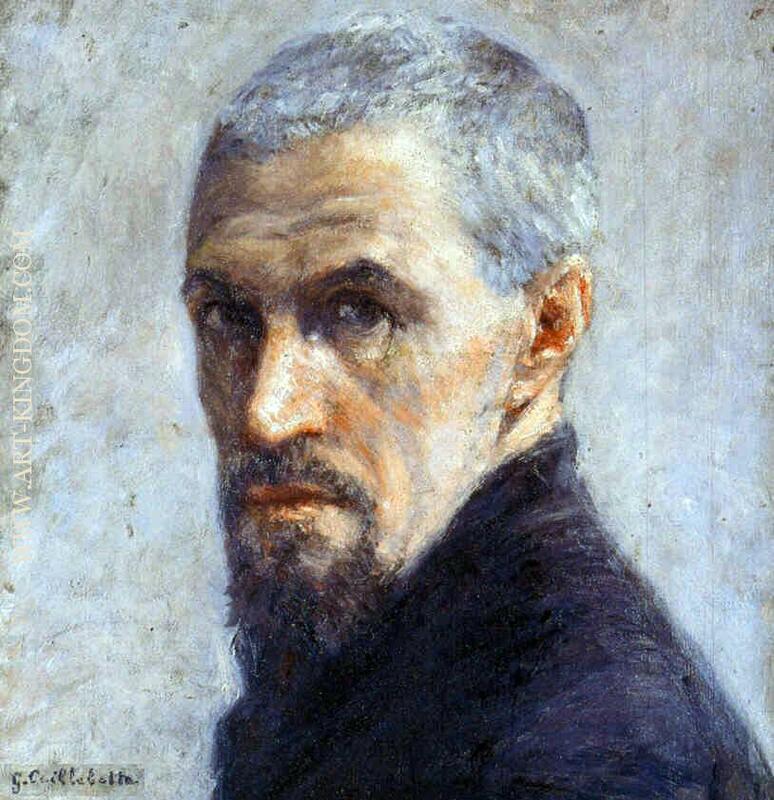 Caillebotte's father was twice widowed before marrying Caillebotte's mother, Céleste Daufresne (1819–1878), who had two more sons after Gustave, René (1851–1876) and Martial (1853–1910). 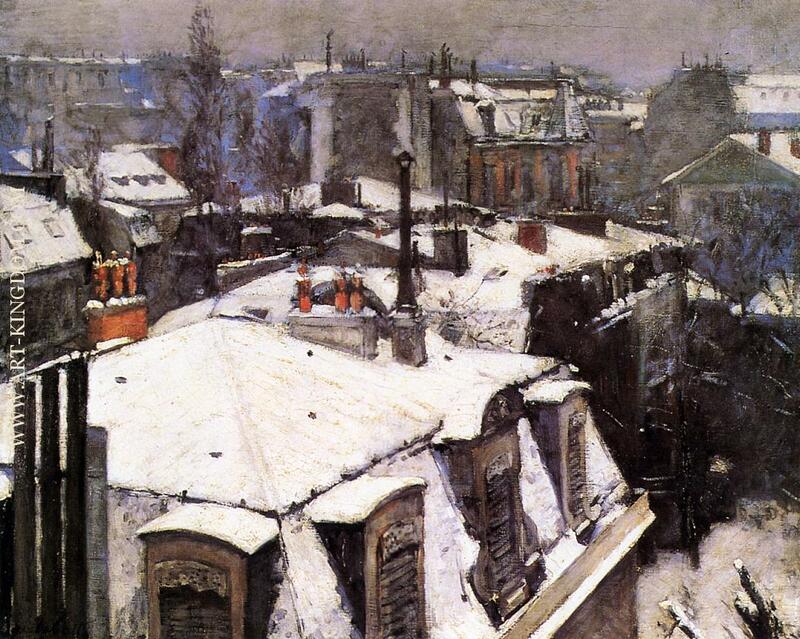 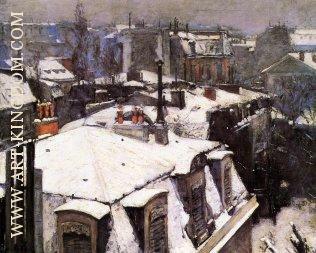 Caillebotte was born at home on rue du Faubourg-Saint-Denis in Paris, and lived there until 1866 when his father had a home built on rue de Miromesnil. 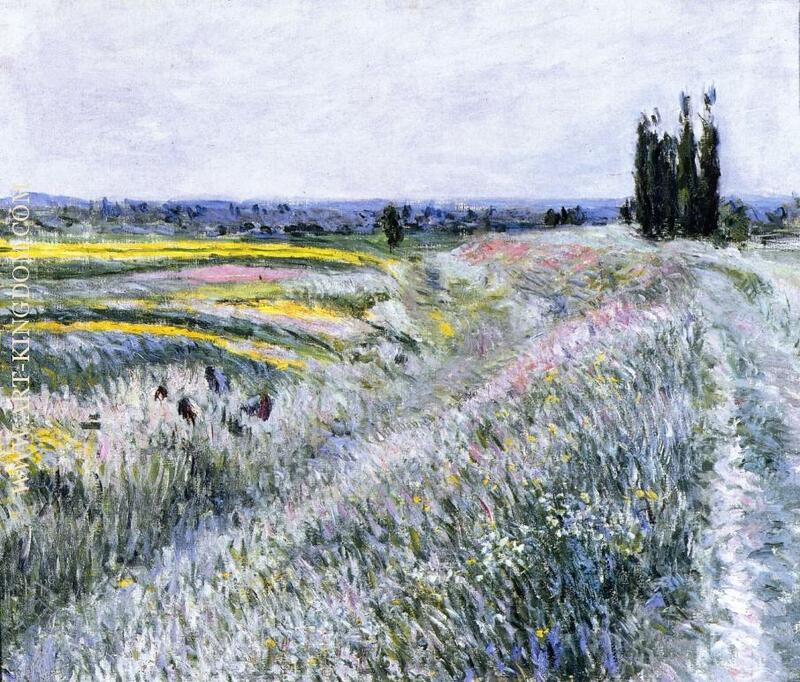 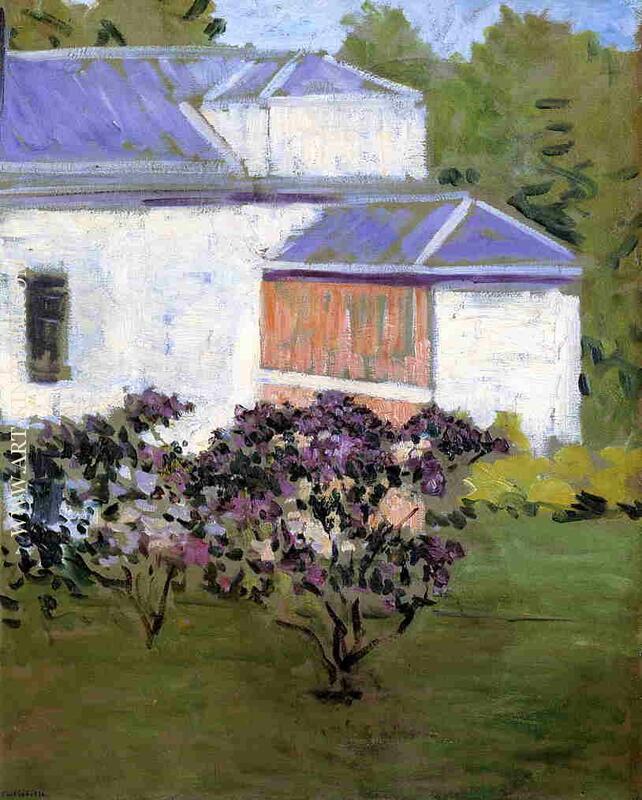 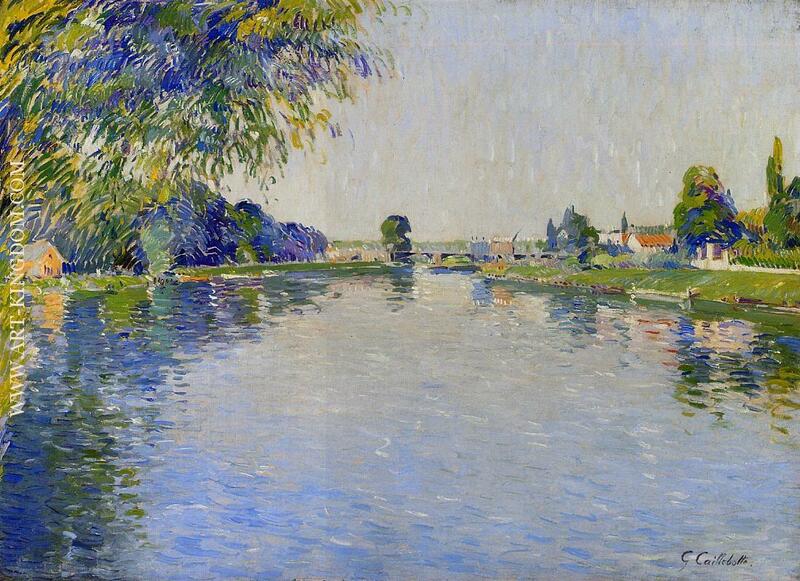 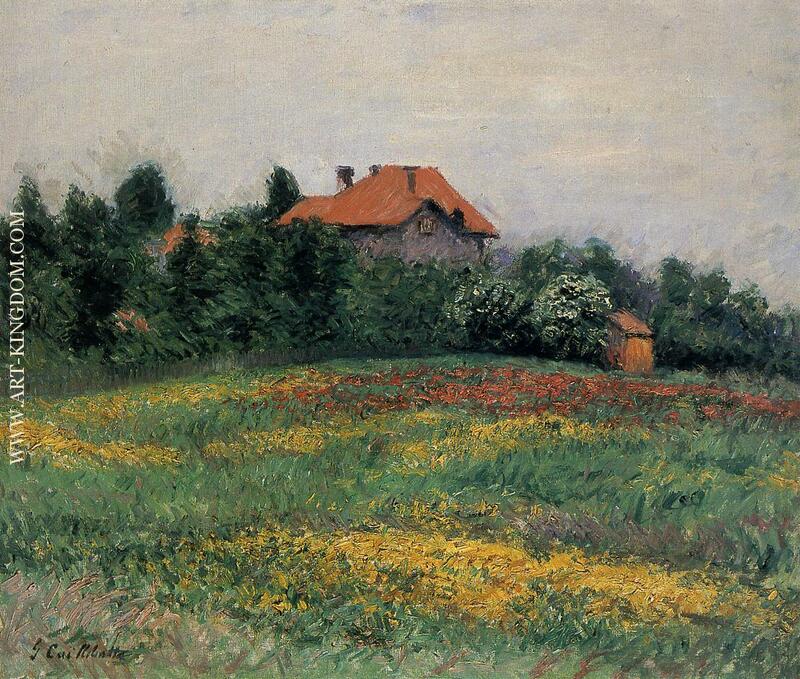 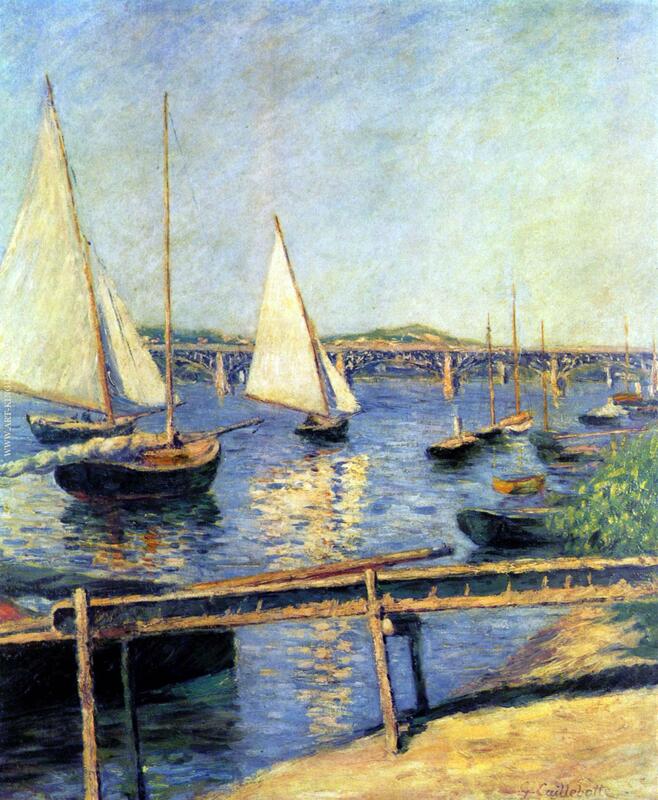 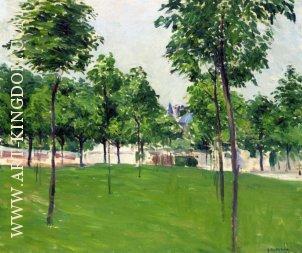 Beginning in 1860, the Caillebotte family began spending many of their summers in Yerres, a town on the Yerres River about 12 miles south of Paris, where Martial Caillebotte, Sr. had purchased a large property. 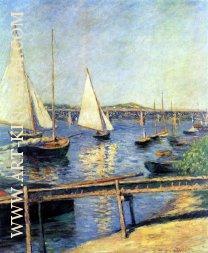 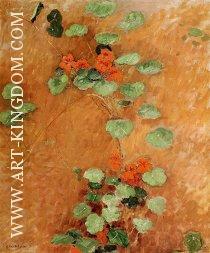 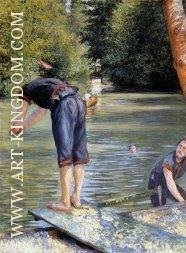 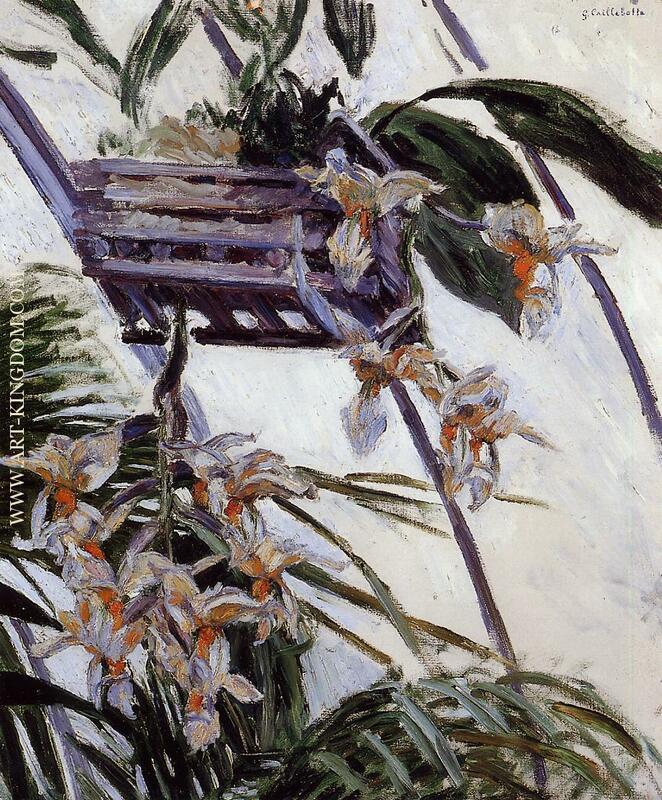 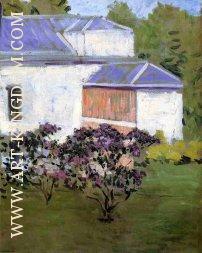 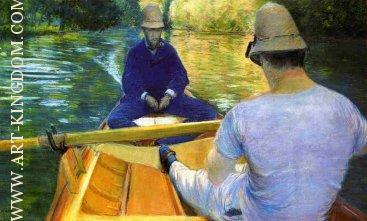 It was around this time that Caillebotte probably began to draw and paint. 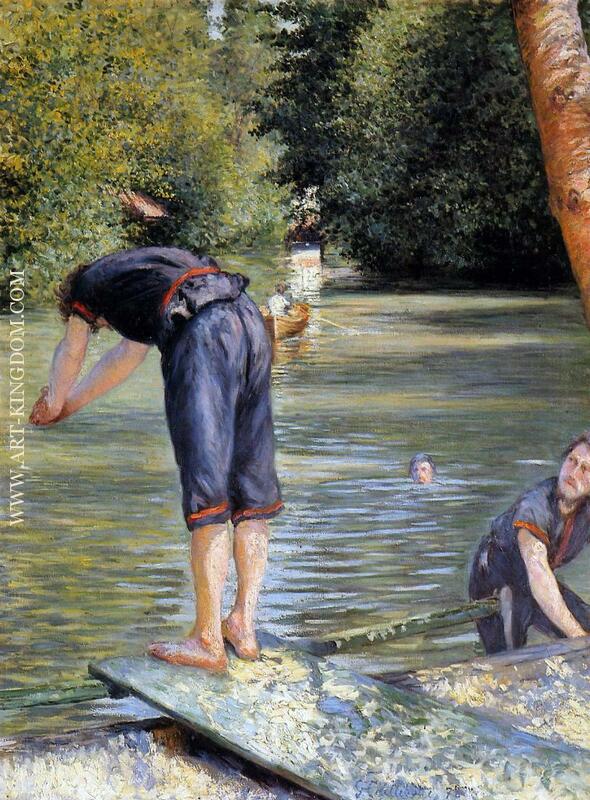 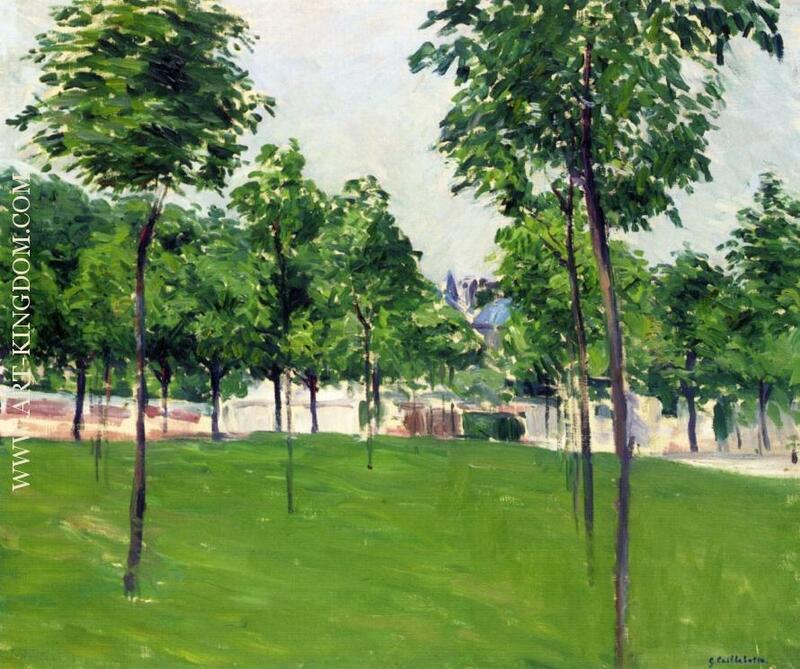 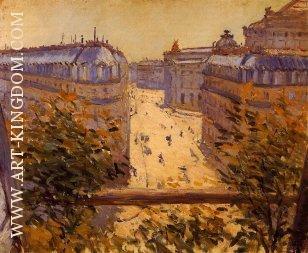 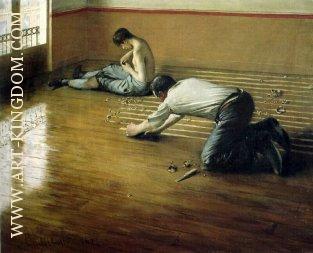 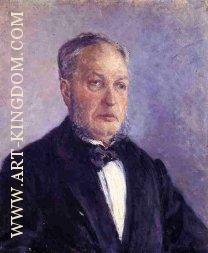 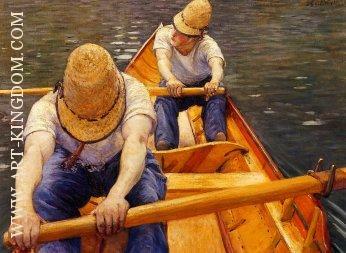 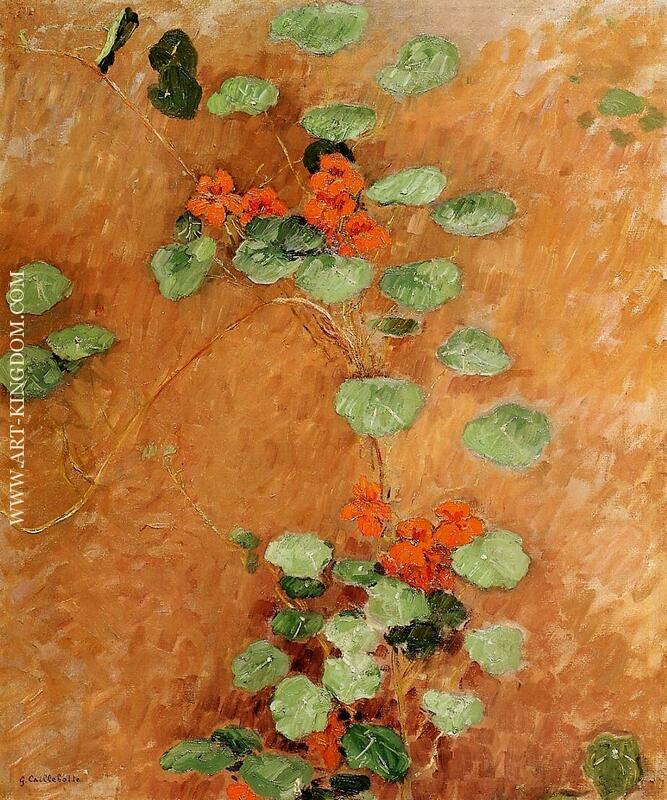 Caillebotte earned a law degree in 1868 and a licence to practise law in 1870. 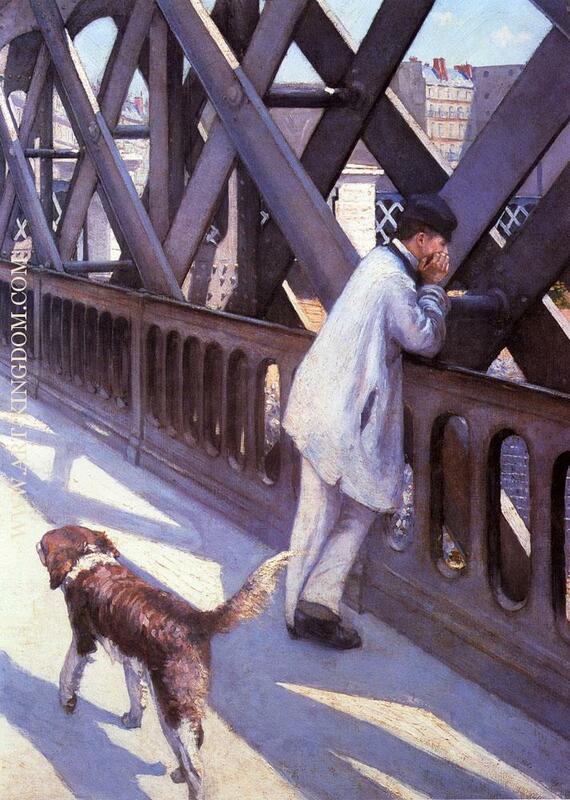 He was also an engineer. Shortly afterwards, he was drafted to fight in the Franco-Prussian war, and served in the Garde Nationale Mobile de la Seine.